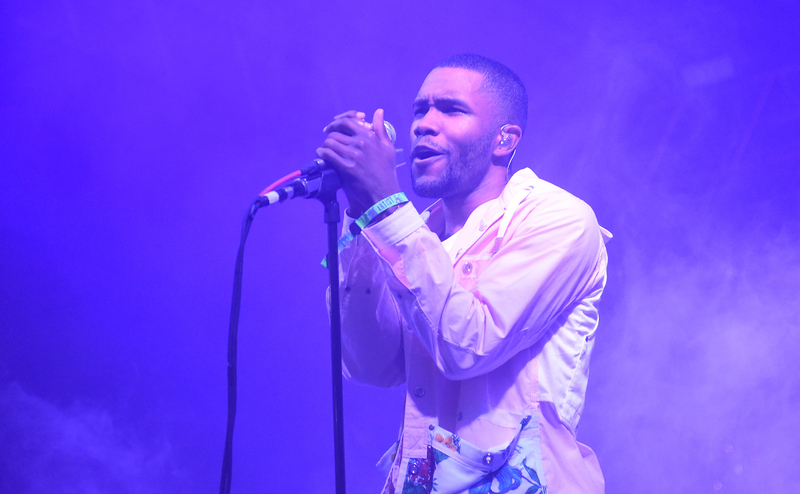 In a stealth move last Thursday night, Frank Ocean debuted a new visual album, Endless , his first major release in four years. While I'm still baffled that this isn't Ocean's promised album Boys Don't Cry, I'm also excited to take a trip back to the Ocean. Unfortunately, to get there, that it looks like you have to jump on the Apple Music train. And if you still shelled out money for Jay Z's music service way back when The Life of Pablo debuted, you may be wondering when will Endless be available on TIDAL. Well, it's worth considering for a hot sec that Endless may not be at all available on TIDAL. Right now, both Endless and Boys Don't Cry are signed up as Apple Music Exclusives, two pieces of covetable content that can only be streamed off one streaming service. It's a common power move on behalf of big name musicians since selling the rights of a new album to one particular streaming service definitely cuts them a big paycheck, but it also makes the statement, "if you care about me, you will throw your money here." Before you panic thoroughly, though, let me just remind you: in the music industry, the word "exclusive" is usually a temporary, not a permanent, condition. For example, when Drake released his highly anticipated album Views on April 29, it premiered as an Apple Music Exclusive. I remember the day fondly as it was the day I rushed to sign up for a free trial... and I got billed as that trial ended a few weeks ago. I probably should've looked into the closing line of the Views album trailer: "Exclusive for a limited time on Apple Music and iTunes." That "limited time" ended up being only two weeks later, as Views made it's way to Spotify and TIDAL on May 13. But without that kind of fine print, there could be concern that Apple may not let go of Endless... and that's a loud "probably not." Let's look back to the case of Kanye West, professional egoist and Jay Z's most fervent supporter. When he released The Life Of Pablo he took to Twitter and said, "My album will never never never be on Apple. And it will never be for sale... You can only get it on Tidal." And we believed him. We got the receipts that prove we believed him. And then, what do you know, The Life of Pablo landed on Apple Music, Google Play Music, and Spotify April 1, a month and a half after TLAP official debut. So all that aside, there's nothing that would suggest Ocean and Jay Z are in a bad standing. Lest we forget, the two collaborated on "Oceans" off Jay Z's 2013 album Magna Carta Holy Grail. There's little doubt that Ocean's move to stick with Apple was a business decision versus a personal snub. And at the end of the day, it's also a good business decision to not completely isolate a huge chunk of your fans. Really unless you're at the level of Prince (R.I.P.) you usually don't want to keep all your properties on lockdown, or marry it to one service. So my guess? With no bold claims concerning Endless' exclusivity one way or another, I predict that it'll leak onto alternate streaming services within two weeks to a month, max. But if you can't wait till then, maybe now is the time to jump back on the Apple train. After all, Boys Don't Cry looks primed for a weekend debut.